The sections of Camden Valley Way at Edmondson Park and Narellan were upgraded as key components of Roads and Maritime’s regional road network to meet the need for increased road capacity in western Sydney. Design and documentation of the road works were prepared by the RTA/URS Alliance. Corkery Consulting was engaged as specialist sub-consultants to prepare the design concept and detailed documentation for the landscape works associated with the two road upgrade projects. The landscape design responded to the complex set of issues that were identified through a comprehensive site analysis process, which included extensive remnant Cumberland Plain Woodland, riparian corridor crossings together with adjoining residential development and areas of rural landscape. Remnant trees were retained where possible and extensive tree planting carried out recreating the avenue character of the existing road corridor. Indigenous species were used to enhance biodiversity and minimise ongoing landscape maintenance, while water quality basins within the road corridor are integrated into the landscape design. Corkery Consulting prepared Landscape and Urban Design Reports for both the Edmondson Park and Narellan sections of Camden Valley Way upgrade. The reports documented the site analysis process as well as landscape/urban design concepts that responded to the site conditions and road design. and industrial development as well as some areas of rural landscape. The site analysis provided the basis for the landscape design concepts. Remnant trees were retained in the road corridor where possible and new tree planting carried out to recreate the avenue character of the existing road. Indigenous species were used to enhance biodiversity and minimise ongoing landscape maintenance, while water quality basins within the road corridor were integrated into the landscape design. 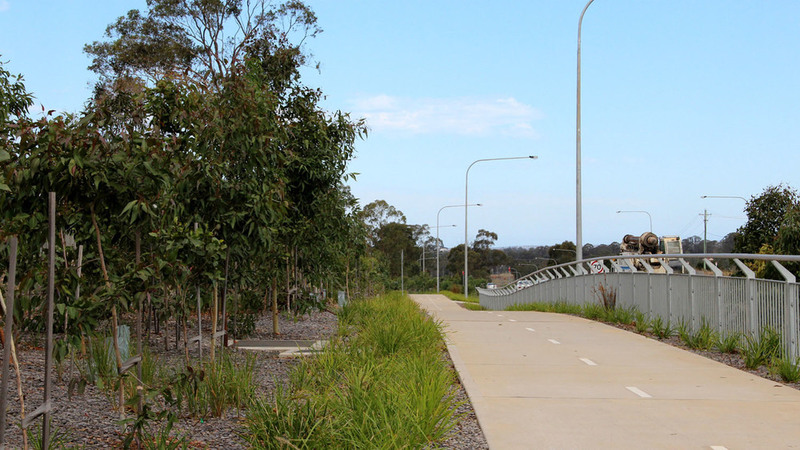 A redundant section of roadway incorporating a bridge over Narellan Creek was retained and converted to a pedestrian/cycle path. Poplar trees were planted along the pathway to recreate the original avenue of trees. 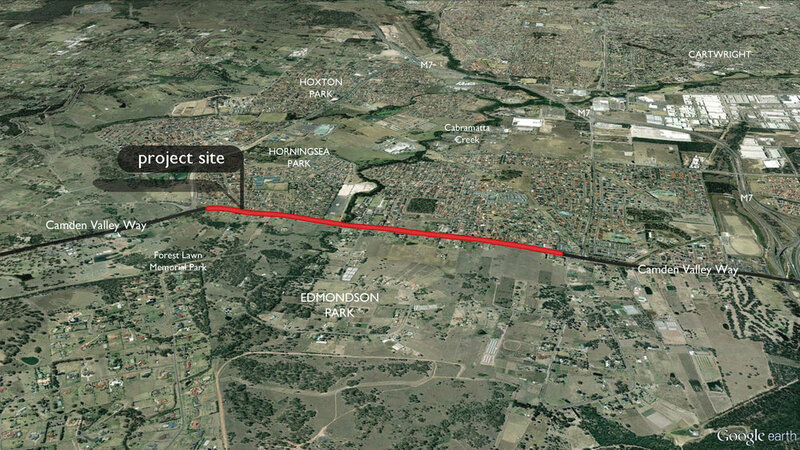 Corkery Consulting prepared the detailed design and documentation of the landscape works for both the Edmondson Park and Narellan sections of the Camden Valley Way upgrade. This included planting plans, details, plants schedules and specifications.